LACMA's popular "Through the Mic" (aka hip-hop night!) closes the season with a bevy of LA acts: The Gaslamp Killer, Vince Staples & Michael Uzowuru, Problem, Luckyiam and Jck Dvy. 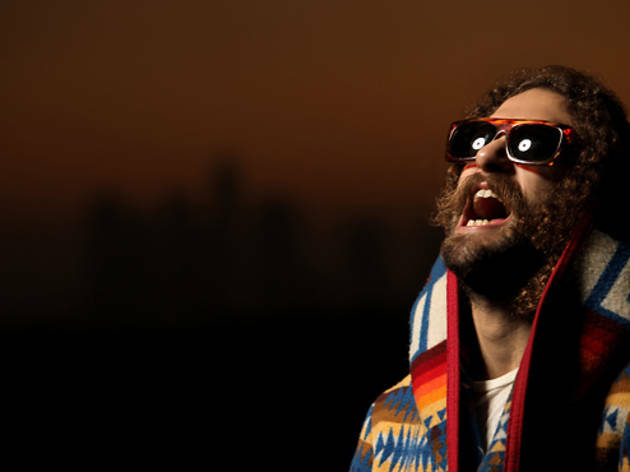 The Gaslamp Killer is an LA-based DJ whose eclectic style ranges from psychedelia and world music to dubstep and left-field hip hop. Vince Staples (who had a verse on Earl Sweatshirt's "epeR,") is best known for his Shyne Coldchain Vol 1. Compton rapper Problem has worked with Snoop Dogg and E-40. Luckyiam is a veteran of Left Coast hip hop and a cofounder of the Living Legends. Jck Dvy of hip hop duo J*DaVey goes solo tonight, lending a bluesy voice to raw, spirited rock 'n’ roll. Tickets are free, but reservations are required and only two tickets per person. Tickets: 323 857-6010 or reserve online.